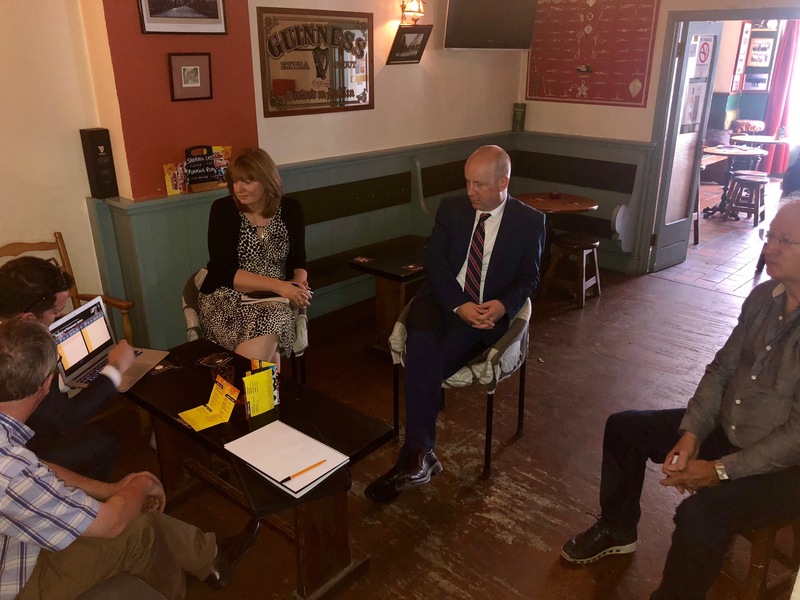 Health Minister Jim Daly has told the Drinks Industry Group of Ireland (DIGI); ‘’the politician and the publican must learn how to become friends again’’. The Minister was commenting on a presentation by DIGI in the Corner Bar of their report into Innovation and Entrepreneurship in the trade.DIGI also presented a case for a reduction in excise tax, they pointed out that Ireland has one of the higher excise tax rates in Europe. 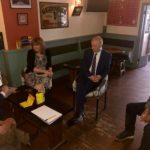 ‘’Given my own previous life as a pub-owner I can perhaps see both sides a little better when it comes to the relationship between politics and the pub. There has recently in that relationship been more heat than light and a little too much conflict. We are aware from industries such as Clonakilty Distillery the contribution and potential contribution of the drinks trade and Irelands public houses to the economy. The contribution of the pub is not just economic. In vast swathes of my constituency the public house is the main social infrastructure that we have; in fact, the last in many cases. We need to protect our rural pubs to ensure the light stays on in rural villages and communities. We do not want a situation to develop where the rural pub, like the Welsh coal-mine can only be found in heritage centres. This government has been supportive of the pub trade in areas such as the Craft Beer Bill, Good Friday and new rural transport links. I intend to continue to be a strong advocate for the rural pub in a way that helps rather than hinders their future as social and community centres, in particular I am focusing on new transport strategies for people living in rural Ireland. Like the cowboy and the cowgirl, it’s time for the TD and the publican to be friends again’’.